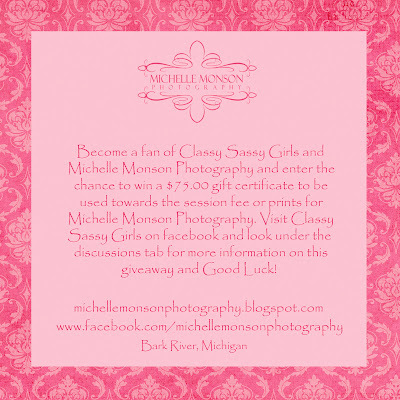 The title says it all...want to win $75.00 to use towards a session with me...then head on over to www.facebook.com/classysassygirls and www.facebook.com/michellemonsonphotography and fan/like us and tell your friends to do the same. Then on Classy Sassy Girls page under the discussions tab find the Michelle Monson Photography one and leave a reply that you fanned/liked us and you will be entered in the giveaway... it's that easy. If you have any questions, please feel free to contact me. 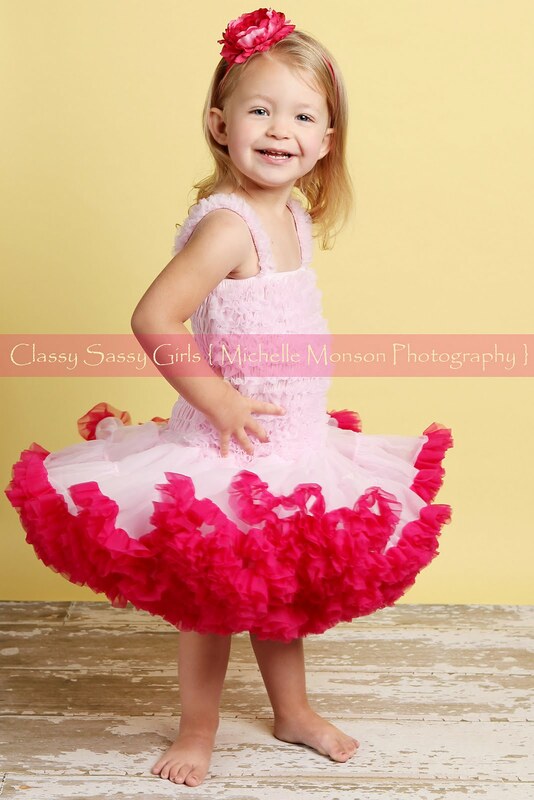 The winner of the Classy Sassy Girls giveaway will have the option of doing the session at my studio in Bark River, Michigan or at the beaches/parks of Escanaba or Gladstone Michigan. Also if you have another spot in the listed towns let me know and we'll see what we can work out. And of course I am sharing a picture of the new pettidresses that Classy Sassy Girls will be offering soon...go check out all of her beautiful items at http://www.etsy.com/shop/classysassygirls.